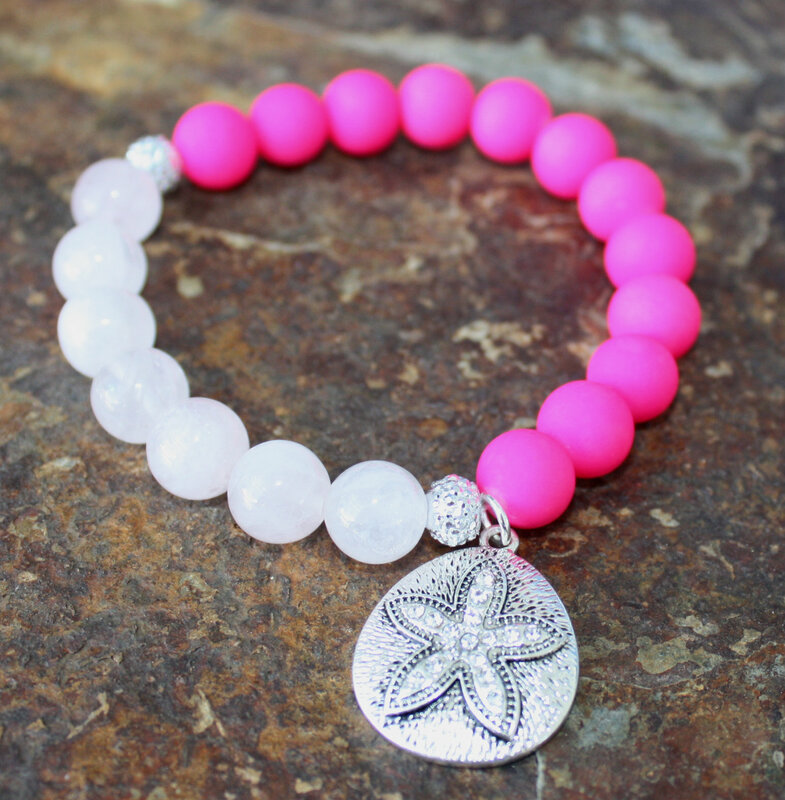 Beautiful hot pink and light pink quartz bead bracelet with a touch of bling and crystal sand dollar/starfish charm. 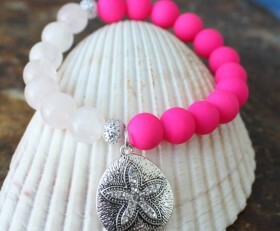 Unique and beautiful to go with both dress and casual. 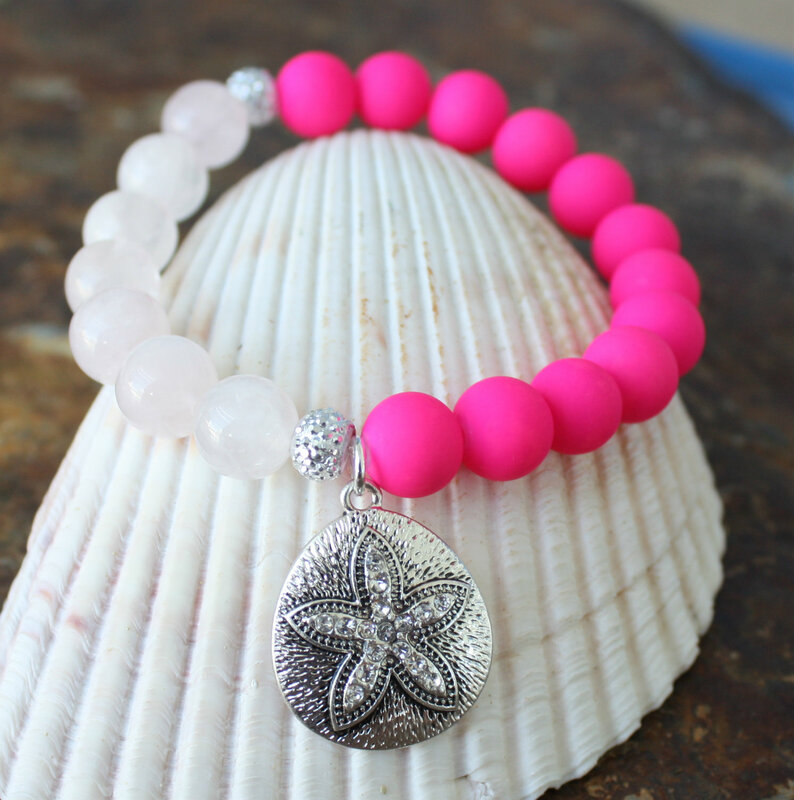 Categories: Beach Surf Sun Bracelets, Beach, Surf, Sun Jewelry, Beaded Bracelets, New, Shop.